Fortnite 7.40 Patch Notes Available with the return of gifting and the ability to earn the Season 8 Battle Pass for free. 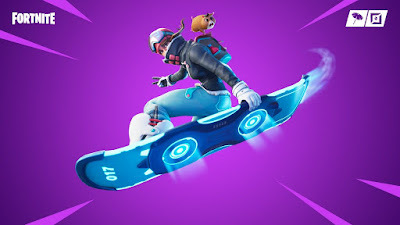 These new adds limited time item, "The Driftboard" and New Driftin Limited Time Mode. The Driftboard Limited Time item, you can ride around in style and pull off tricks while firing at enemies. You can get a Driftboard from a red supply Drop for use in the Driftin Limited time mode where you can race with against your and last team will win. This mode will have two teams of 32 players and all chests and ammo boxes have been removed.